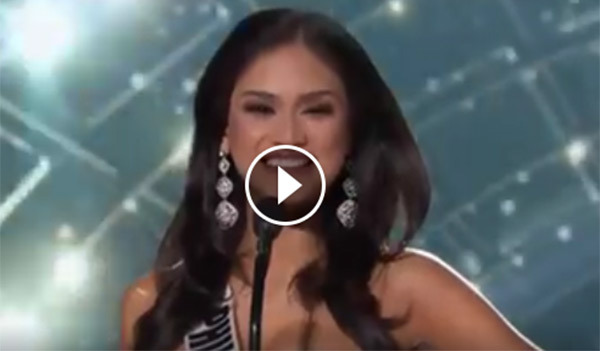 Pia Wurtzbach of the Philippines has been crowned as Miss Universe 2015 during the pageant's coronation night in Las Vegas, Nevada on Sunday. Ariadna Gutiérrez of Colombia was named first runner-up while USA's Olivia Jordan was second runner-up. View the full list here. Wurtzbach is a Filipino-German actress, model, host, TV personality, chef, beauty writer, stylist, and makeup artist. She is of Filipino and German descent born on September 24, 1989 in Stuttgart, Baden-Württemberg, Germany. Her father, Klaus Uwe Wurtzbach, is German while her mother is a retired Filipino nurse based in London. She has one sister who is three years younger than her. She finished her secondary education at ABS-CBN Distance Learning School in Quezon City and studied Culinary Arts at the Center for Asian Culinary Studies in San Juan, Metro Manila. Aside from being a professional model, actress, host and TV personality, the 26-year-old beauty queen is also a Culinary Arts graduate from the Center for Culinary Studies. At age 4, under the name Pia Romero, she worked as an actress and was managed by ABS-CBN's theatrical agency called Star Magic. Among her TV credits are the teen-oriented series K2BU, the concert variety program ASAP, the romance anthology Your Song, the sitcom show Bora, and the drama series Sa Piling Mo. She appeared in films such as Kung Ako Na Lang Sana (2003), All My Life (2004), and All About Love (2006). At present she is a stylist, makeup artist and beauty writer for Inquirer Lifestyle's 2bU section.